Interested in how you can incorporate technology in your curriculum? Meet Johnathan Baker, our Digital Arts and Technology Specialist. The Digital Arts and Technology Specialist supports the integration of arts technology in the classroom. Johnathan Baker offers multiple workshops each semester on a range of digital technology. Through this work CAST hopes to support all faculty who wish to bring technology into their curriculum. 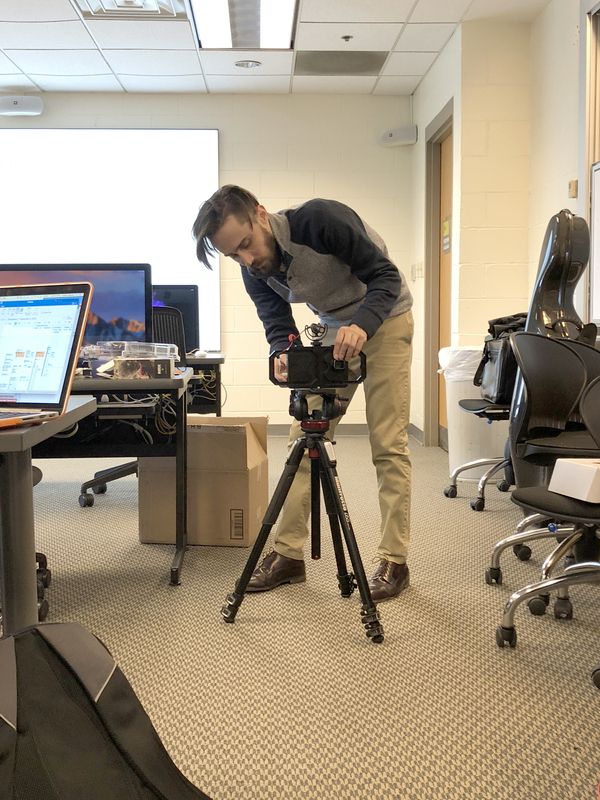 Johnathan is also spearheading an effort to create a campus-wide checkout system for equipment, as well as a new sound recording studio in Van Meter. Johnathan has created several online tutorials for digital arts and technology tools which you can find here. Find resources from Johnathan’s workshops here.